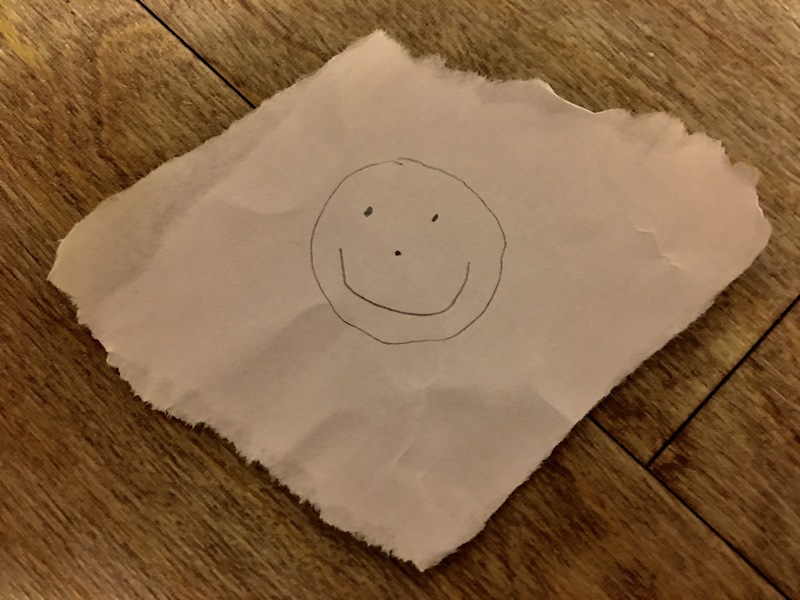 There is a large set of barriers to overcome in what may, at first, seem to be the simple and instantly recognisable sketch of a smiley face by a small child. 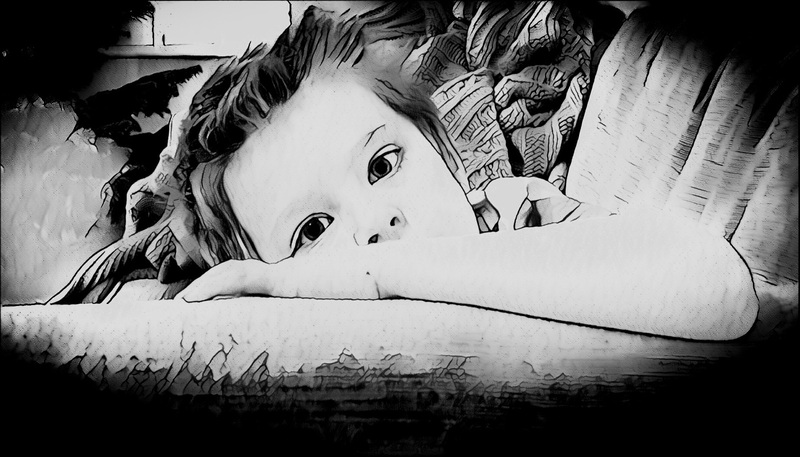 In a non-verbal toddler with sensory difficulties, such as my little son, the act of picking up the pencil was six months’ in the making. The pencil is a long, thin, shape – my son is drawn to hold it up to his eye line and look along it, sometimes for many minutes at a time. He’ll then pull it quickly past his eye, as if experimenting with an invisible vanishing point. Finally, after a few weeks, he puts the pencil to paper. The scratching noise vibrates through his hand, hurts his head; he winces, and lets the pencil fall. He clasps his hands over his ears tightly. But he is very brave and determined. We keep trying. By week ten, he can hold the pencil, resist the temptation to look along it and rush it past his right eye, and can make a mark on the paper without being unsettled. By week 15, he can sit for 3 minutes, and draw a few marks on the paper. He puts the pencil down slowly, looking very pleased. By week 20, we are working on circles. It takes control, and a lot of focus, for my son to follow the dotted lines on the paper I have drawn for him as a guide. An attempt is made by me to bring in different coloured pens. Explosion of colour. He hates it. We stick to pencil. By week 25, we are sitting each morning and he will draw a page full of circles on his own. We practise trying to put a dot in the middle of the circle. This makes a stabbing noise that he hates and judders through his hand. We settle for the lightest of marks, made tentatively and slowly. By week 28, we can draw a circle with two tiny dots. Then a third dot, then a little wavy line. An uncertain little expression. …. and “smile!” There are three perfect smiling faces in the room.